pero como siempre, opinions and Spanglish are all Babushka's. Mother’s Day is approaching, and besides thoughts of The Trio, BB recalls the actual day she became a Madre for the first time. Birthing is no peace of bizcocho. It was a dia of surreal moments and surprises, but in the end worth every twist of events. It is a personal experience, y ultimately the choice is yours, pero BB just wants you to think about certain things, specifically the birth, before that day you become a mother, or before you give birth again. Originally the C-Section, or Cesarean, was performed to save babies whose mothers died during childbirth. Obviously, that is not the only reason the operation is chosen in today’s society. The reasons range from medical need, to cultural preference, and many beliefs in between. 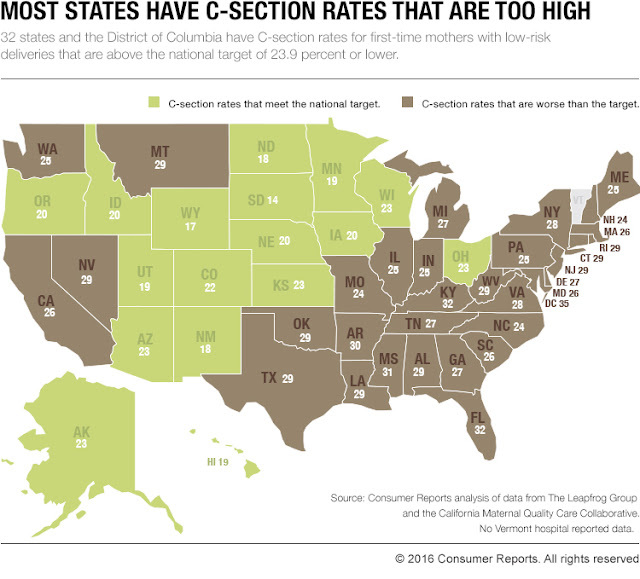 According to Consumer Reports, 1 in 3 births are cesareans, and almost half could have been done naturally. “Alarmed by that trend, the American Congress of Obstetricians and Gynecologists (ACOG) and the Society for Maternal-Fetal Medicine (SMFM)—the nation’s two leading medical organizations that focus on childbirth—issued recommendations in 2014 aimed at safely reining in unnecessary cesareans. So do your tarea Beautifuls; know your doctors percentage of Cesareans and of the hospital they're affiliated with. Here are some articles to give you a better understanding of the current situation. Thankfully, even though my ob/gyn scared Babushka by saying “It’s gonna be a big one!”, when asked if a Cesarean should be performed he said, “No mija, alli cabe un camion.” ( No dear, you can fit a truck in there.) Loved my doctor, Crazy Cubano with a heart of gold, whose jokes weren’t always funny, but his demeanor was always darling. 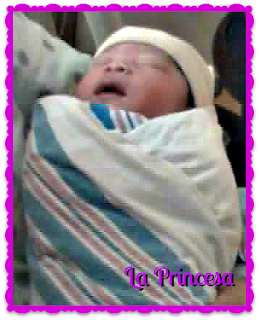 My first born was almost a 12 pounder, and BB was sure Dr. Tudela was there for all three births. 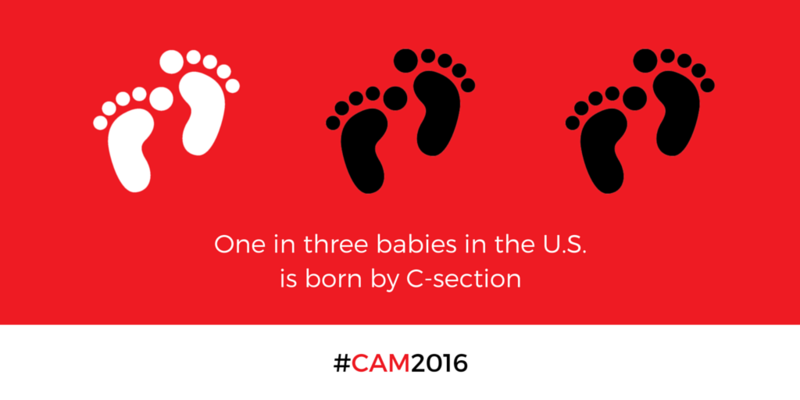 Follow #CAM2016 on Tweety and chime in with the topic. And for those who are wondering, no, Babushka wasn't being Cubana. My Eldest missed 12 lbs by one ounce. Would BB have done anything differently about that day? JU SO FONII!!! It, and she, were perfect.